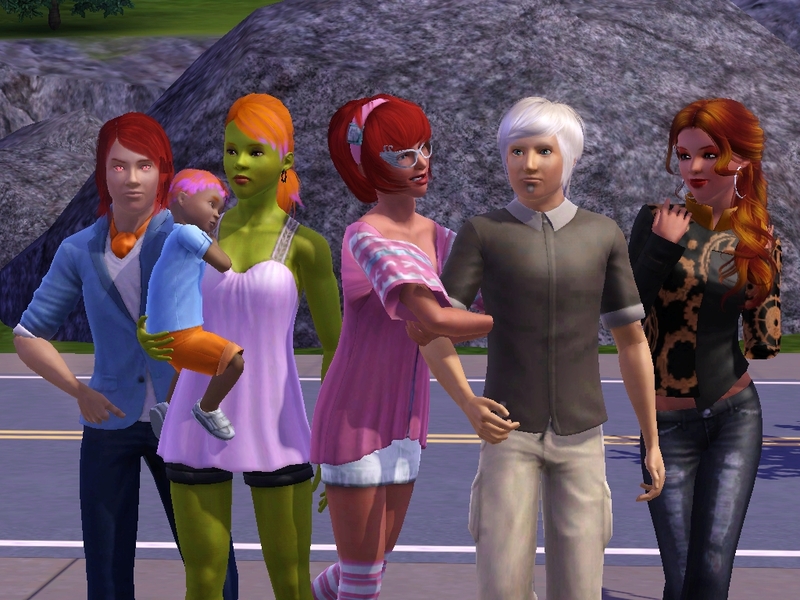 The days following more of Ashby’s children began to arrive. 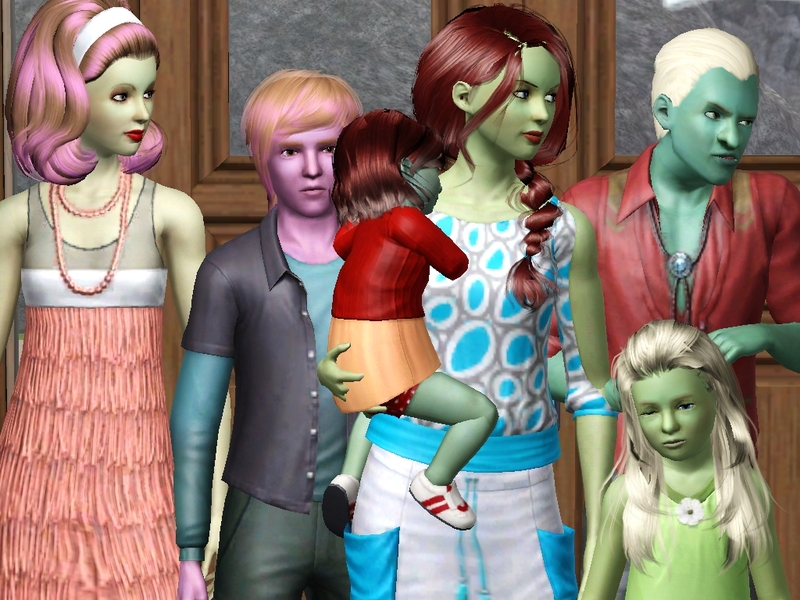 Violet Newbie’s Granddaughter’s babies: 17, Heavenly, 16, Bren, and their families; Heavenly’s teenage son MyTie, Bren’s husband Matthew and daughter’s Silva and Flower. And the last to arrive were the first born. Babies 2 Hannah and Baby 1 Harmony and Harmony’s family husband Max and daughter Wing. Ashby’s heart was overfilled with happiness and she couldn’t believe so many of her babies were home for the holidays. 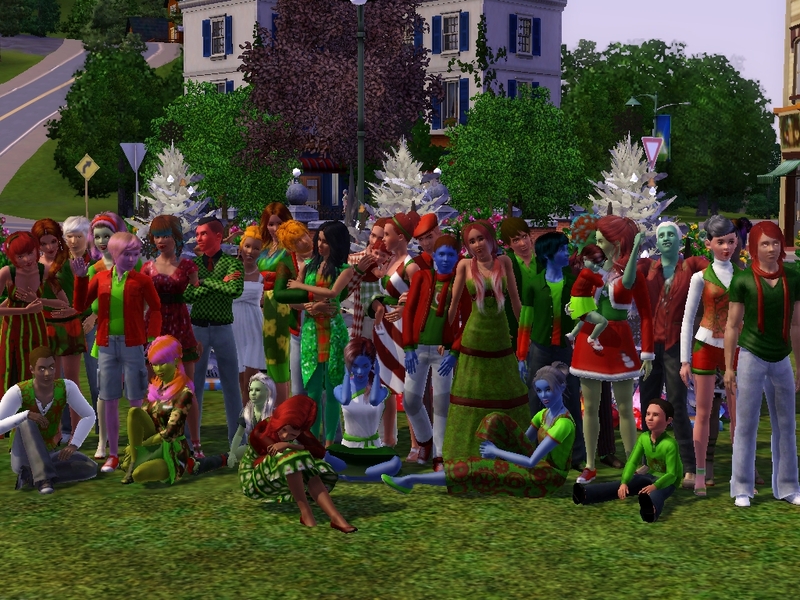 A week before Christmas Eve Ashby worked hard and got everyone who was home in a family picture. 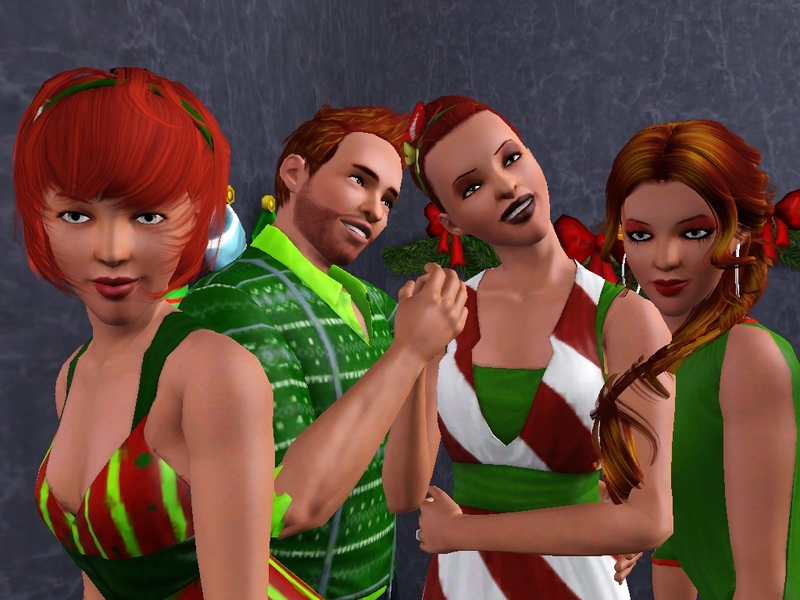 MERRY CHRISTMAS FROM THE LEMI’S, BRIGHT’S AND STARR’S. Due to the approaching holiday and so many people in the house Ashby did something she rarely did. She aged up four of her children. Rian, Riker, Rollin and Woody all aged up three days before Christmas Eve. 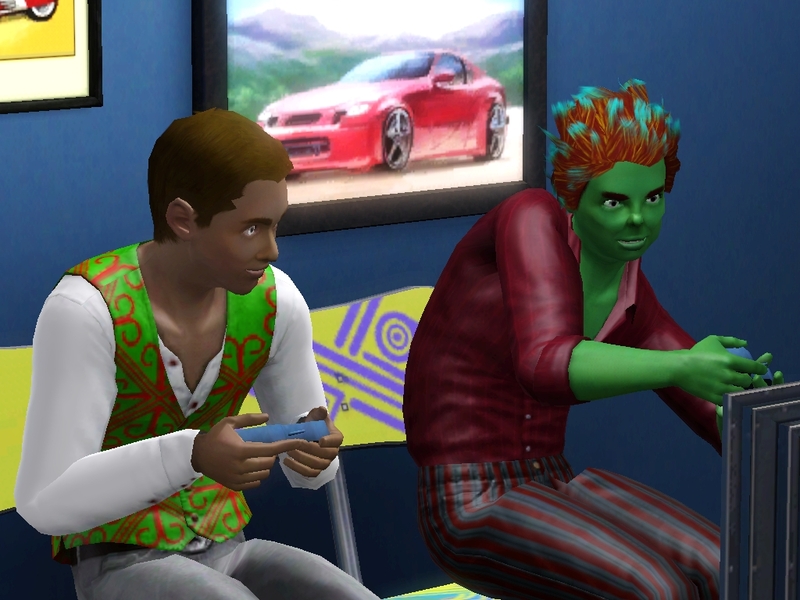 The three of them, Rian, Rollin, and Riker, aged beautifully into young adults. Ashby got her goodbye picture and a promise they would be back for the Christmas Eve party. 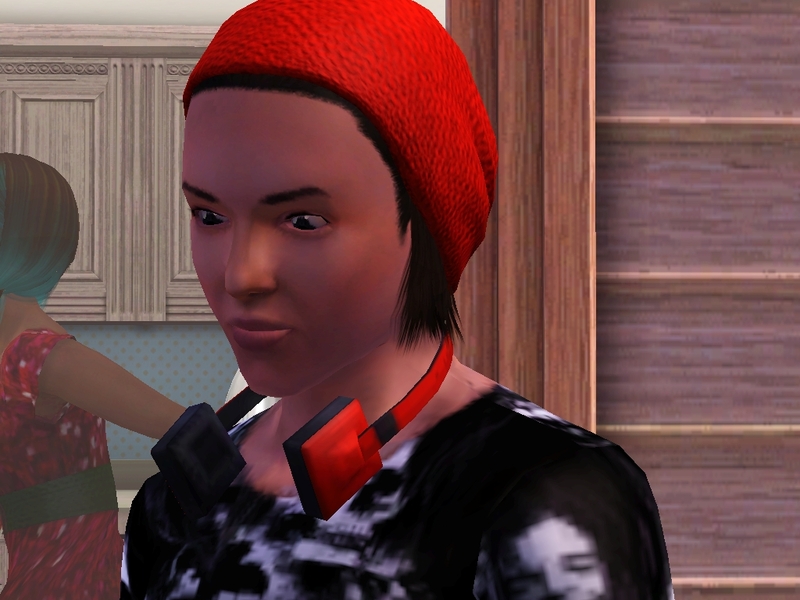 Woody aged into a handsome Teenager, with an obsession to dark music and dark baggy clothes. Ashby was use to teenage antics and knew she had to let him be himself unless it starts causing problems with others or himself. At the party Ashby was pretty heavy with baby 34 and even though Ash had the evil and mean spirited traits he loves his mother and he doted all over her and the unborn baby. At the birthday party Heavenly was able to tell her mother that she was going to have a boy, and this excited Ashby. Bonding time with her children is something Ashby craved and held dear to hear heart, and tried as often as she could to do this. 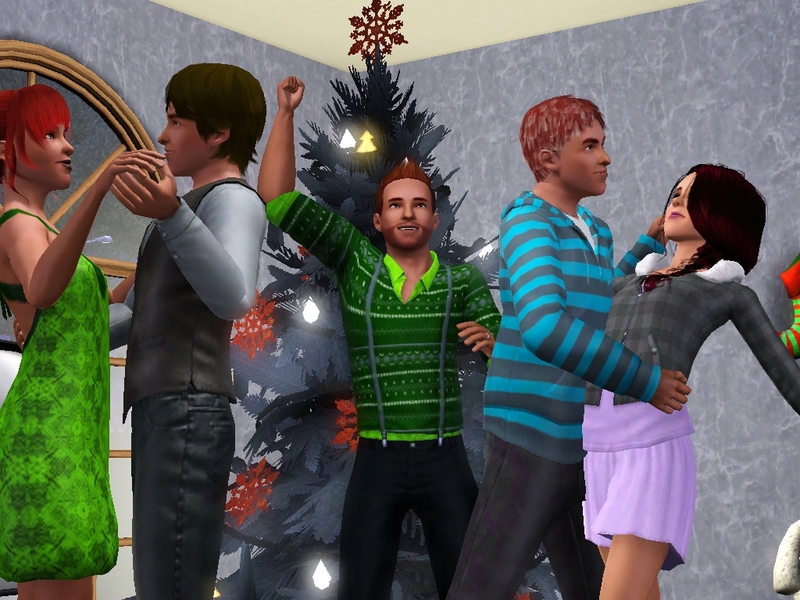 The next few days felt like one big party with the Christmas Eve party just days after the birthday party. 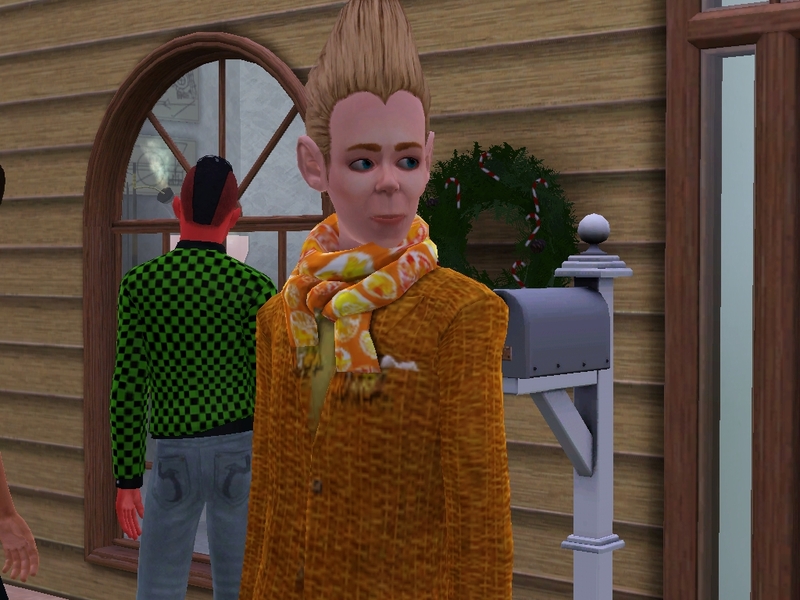 He had come from Whoville after the Grinch had spread the rumor that Ashby Starr was a, well he wasn’t very nice in his words, so the Who looked her up and asked to participate in the challenge and since this would be another Christmas baby Ashby jumped at the chance. During the party Ashby went into labor. 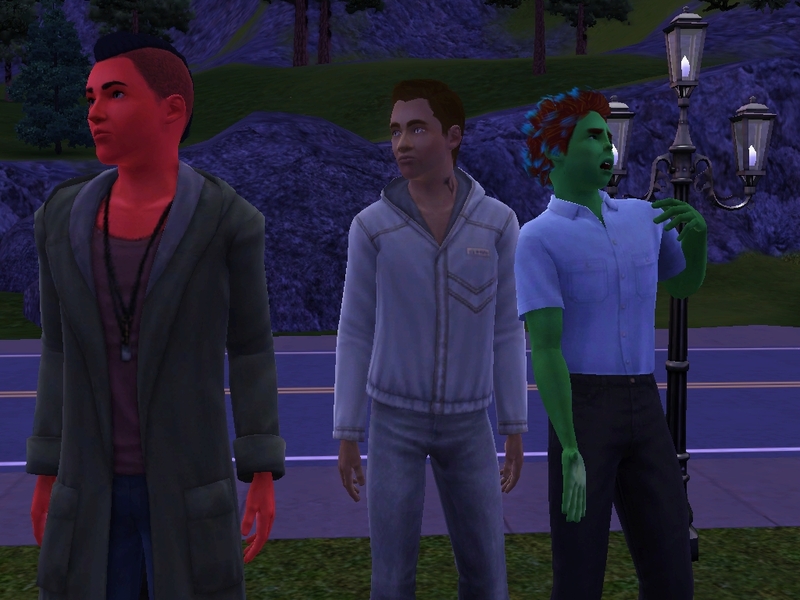 The children and even Asher began to freak out. When Asher did calm down he head to get the car, but Ashby calmly reminded him of the arrangement. The father of the baby gets to come to the hospital and besides he needed to stay and take care of Bay. 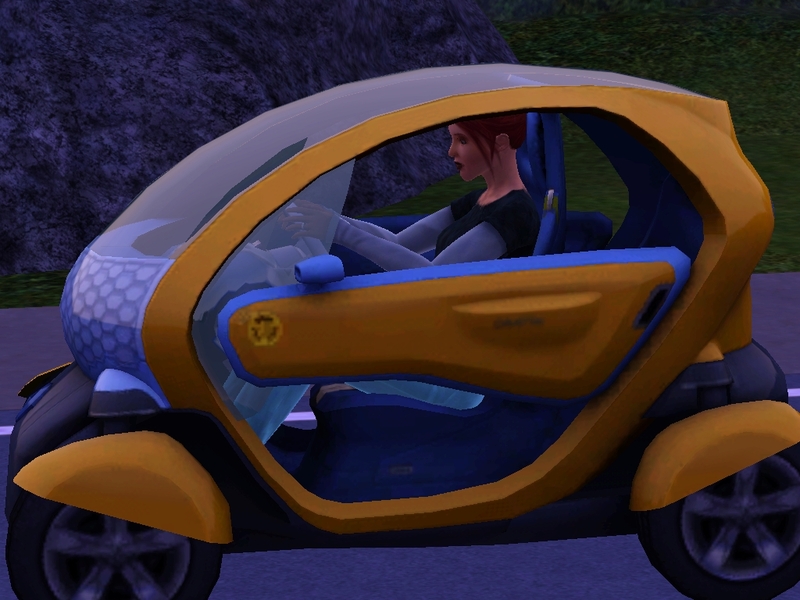 Asher hated this part of the challenge, but he stayed back and allowed Ashby to drive herself to the hospital. After Ashby delivered her babies and she was resting peacefully, before the first feeding, she had the most wondrous experience that she just refers to as her Christmas miracle. “Ashby…Ashby…I’m over here.” An angelic but familiar voice called out to her. Ashby followed the voice through the beautiful park. When she found the source of the voice she gasped in pure shock. Standing on water before her was her guardian angel and the father of Newbie and Quinn, Gabriel Holy. “Where are we?” She finally managed when she was able to talk. “Connery and my girl’s?” Ashby squealed in delight. 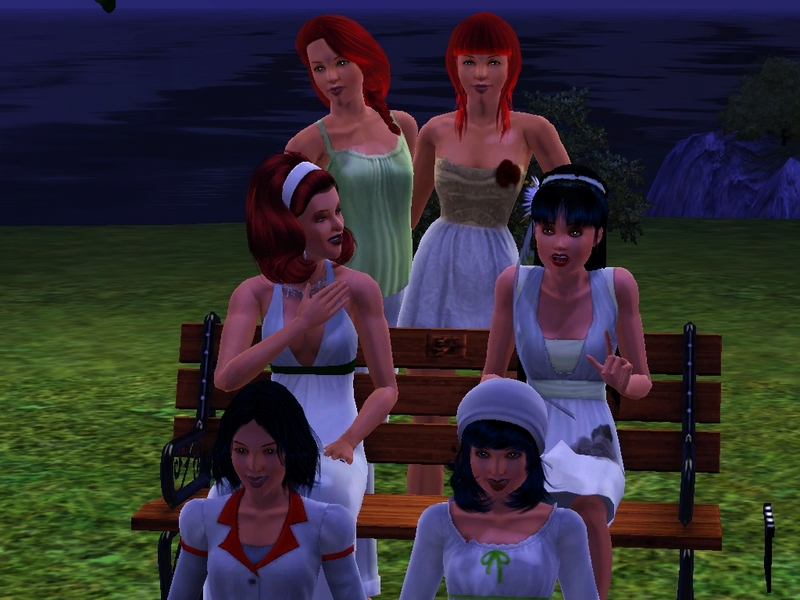 Ashby couldn’t believe her ears; she was going to see her five beautiful girls that she had lost due to a meteor. However she couldn’t keep herself from wondering why Connery wasn’t among them. “Mom?” She hears from behind her. She looks up into Gabriel’s eyes and sees the pleased look on his face and she turns around as he dissipated. 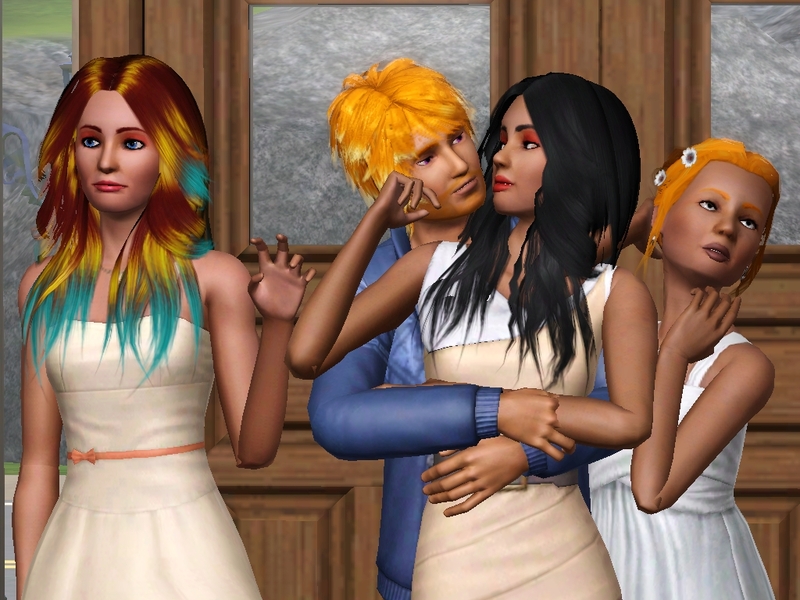 Ashby turned around to see Callum, JayLeen and Roisin standing before her. 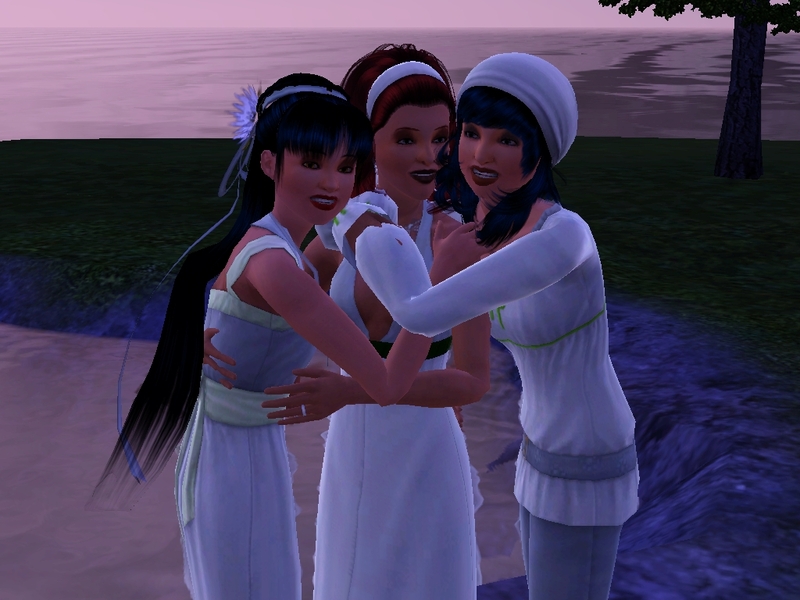 Tears splash down her face as she runs to them hugging them so very tightly. She didn’t want to let go. She didn’t want this time with them to be over ever again. Ashby turned to see Rooney and Royce and a lump formed in her throat. The last time she had seen them they were toddlers and standing before her were two gorgeous young ladies. “Babies.” Ashby choked out and fell to her knees. The girls ran to her embracing her. They spent their time together having a day in the park and catching up. They assured Ashby that they were happy. They missed her and their siblings but they were happy and not in any pain at all. The girls had many questions about Ashby and her challenge. They wanted to know what baby she was on and when Ashby told them that she was married they wanted to hear all about Asher. 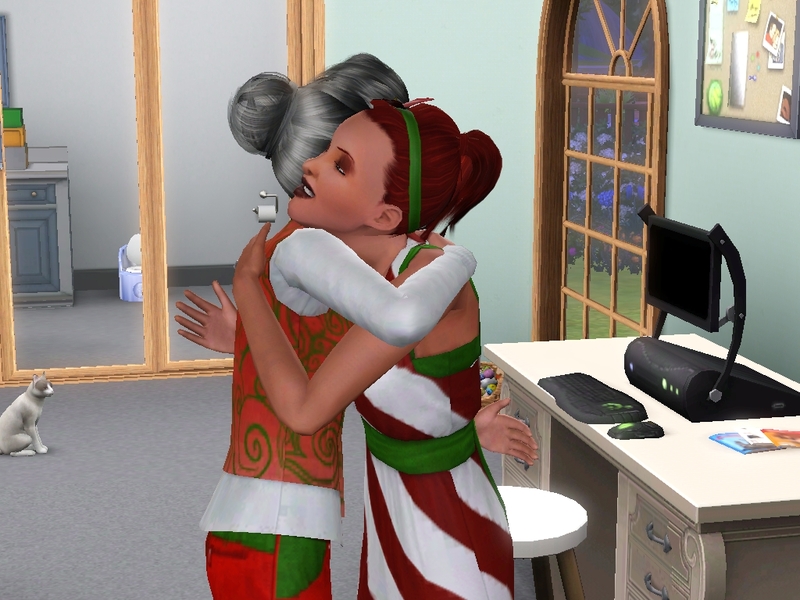 The time held a lot of hugging and crying and smiling, but it was time that Ashby would never forget and with all the wonderful things in her life and the new babies being born on Christmas Eve she couldn’t help but think that Gabriel gave her the best gift ever. As their time together came to an end Ashby and her girls just sat taking in everything. When Ashby “woke” up it was to a screaming, hungry baby. When Asher got the call from Ashby letting him know she was fine and that she had more than one baby he had no choice but to age Bay up. He wanted to wait for Ashby but bringing home three new babies and having a toddler at home would be a lot for her. She grew into a beautiful child with a style of her own. She has James’s eyes, Ashby hair and skin tone and a personality that filled a room. Ashby had three babies on December 24, 2011. Scrooge Who Lemi, he is named after the famous Ebenezer Scrooge from the Christmas Carol. 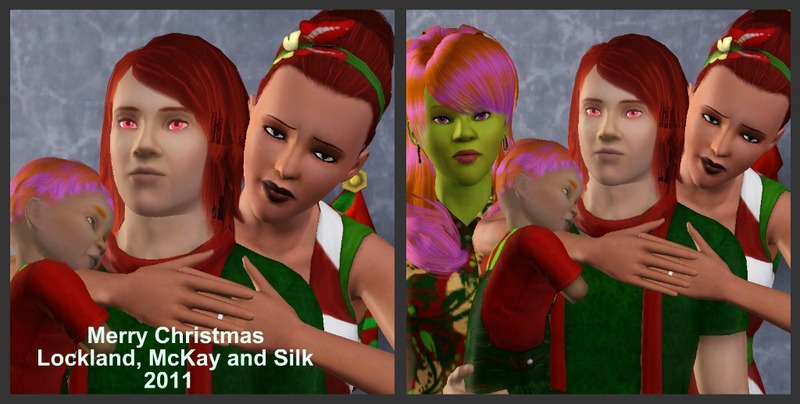 Scrooge is quite the cutie with Ashby’s eye color and many other features from his father. 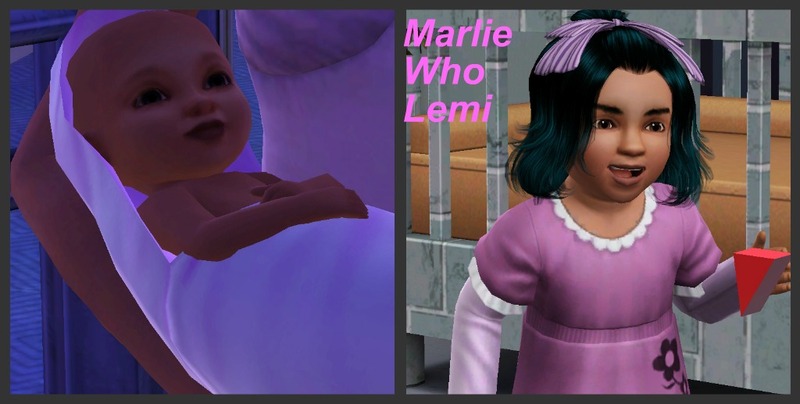 Marlie Who Lemi, she too was named after a character in the Christmas Carol and that character is Jacob Marley. She got her Grandma Mirid’s hair coloring and eye coloring. She has Ashby’s skin tone and she is one cute little girl. 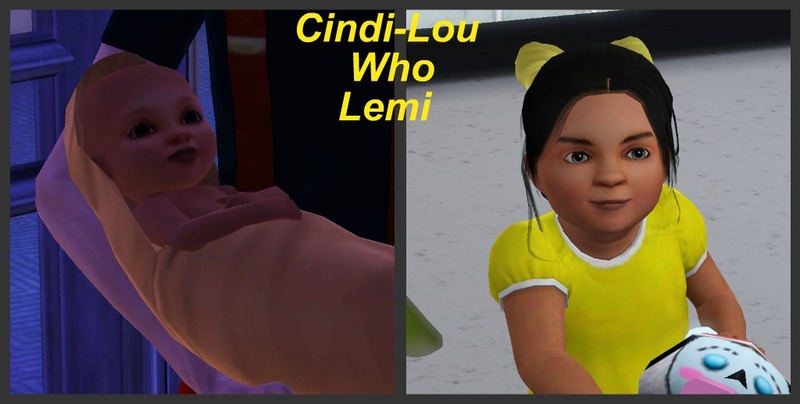 And Cindi-Lou Who Lemi, she was named after a famous Who, with just a slightly different spelling. She got her grandma’s hair coloring and a good mixture of her mom and dad’s features. These three tikes are a wonderful addition to the Lemi household. Stay tuned to find out what these three Christmas babies have in store for them. Also several of Ashby’s children who had come home for Christmas has moved to Sunset Valley. Keep an eye out to see who comes for a visit. Thank you as always for reading and commenting…. Please comment either here or on my facebook page. You can find under Ashby Lemi. Time moved on for the Lemi’s and before anyone knew it the holiday’s of 2011 were upon them. Thanksgiving, for a challenge mom, was small. 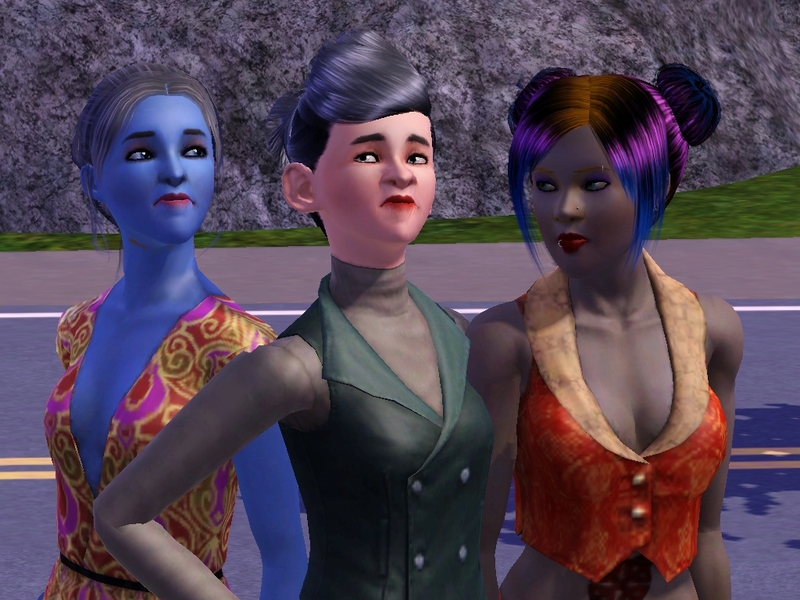 None of her kids in Sunset Valley or otherwise could make it except for Newbie and Quinn, but they didn’t stay but a couple of hours and not even for dinner. When Ashby found out that they heated up Turkey T.V. dinners when they got home she was utterly heartbroken. 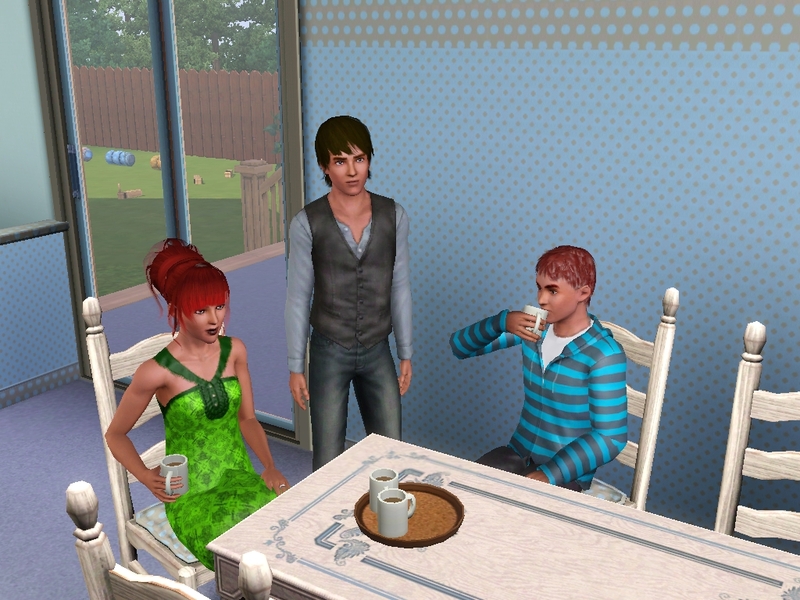 Ashby made a dinner for her, Asher and the children at home and then she and Asher stopped by Violet and A.J.’s house. It was a beautiful, fulfilling Thanksgiving, but Ashby missed her children. During the short time Newbie and Quinn had been home during Thanksgiving Asher and the two of them had taken time out to go to the park to play some football and from the time they came back Asher had been acting strange and secretive. Ashby couldn’t understand why and when she questioned him about it he would tell her that he wasn’t acting any different so after a while she just pushed the thoughts out of her head. Every year a week after Thanksgiving Ashby sets aside a day to get her home ready for Christmas, and this year was no exception. When Asher left to get the tree Ashby climbed into the attic and took down the decorations and began to sort what she had and what she had bought during the Friday after Thanksgiving. When Asher got home with the tree Ashby got the surprise of her life. She received an early Christmas present, one that will keep giving until shortly after the holiday. Quinn, Dawn Turner and Newbie pulled in behind Asher. Asher ran up the stairs, kissed an excited Ashby on the cheek and all four of them yelled, “SURPRISE”. “So this is what you have been keeping secret?” Ashby laughed hugging her husband. Bounding down the porch steps Ashby rushed to her children and her good friend. “Baby boy, I’m so happy to see you.” Ashby pulled Newbie into her arms. Ashby just ignored him and moved to Quinn. The excitement on Ashby’s face was priceless and the boys were so glad they were able to take time away from their life to give their mom the best gift and that is the gift of time and love. “Asher, can you go make Dawn and I some coffee?” Ashby asked as she took Dawn’s hand and led her into the house. Ashby and Dawn made themselves comfortable for good quality catch up time. They talked about their kids and how they spend their time away from their kids and then about love. 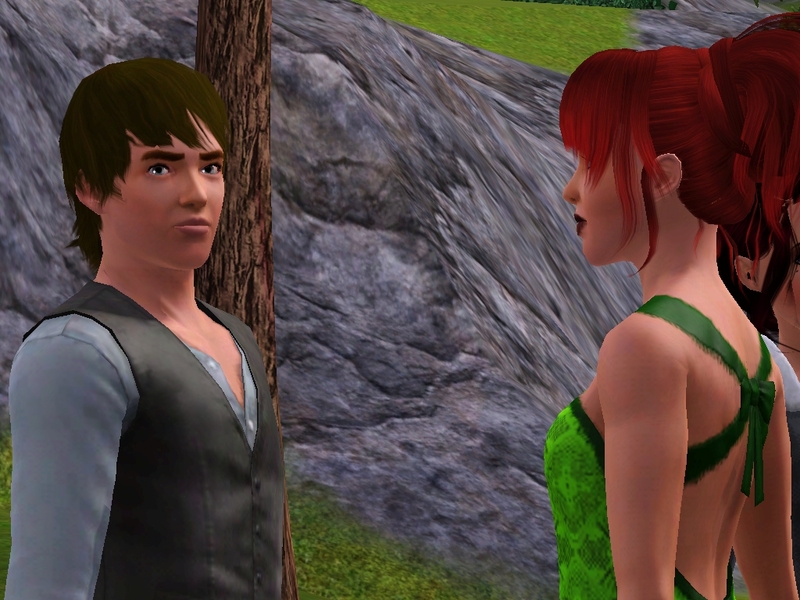 “So what is going on between you and my son?” Ashby asked with a smile on her face. “Yeah all of them even Lockland.” Ashby muttered under her breath. The two women pull themselves away from girl time and head to the boys to start decorating. The decorations were going us as the Christmas music filled the room. 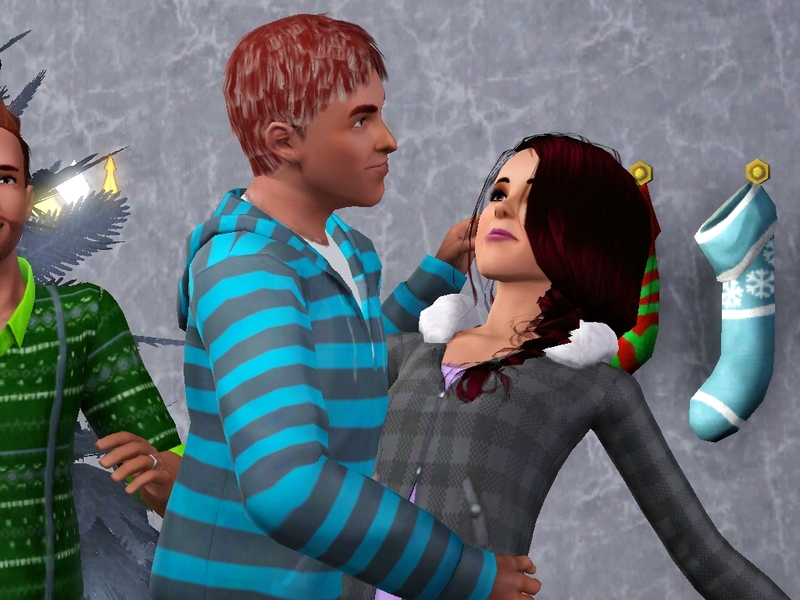 Quinn grabed his mother and began spinning her around the room in beat to the music. 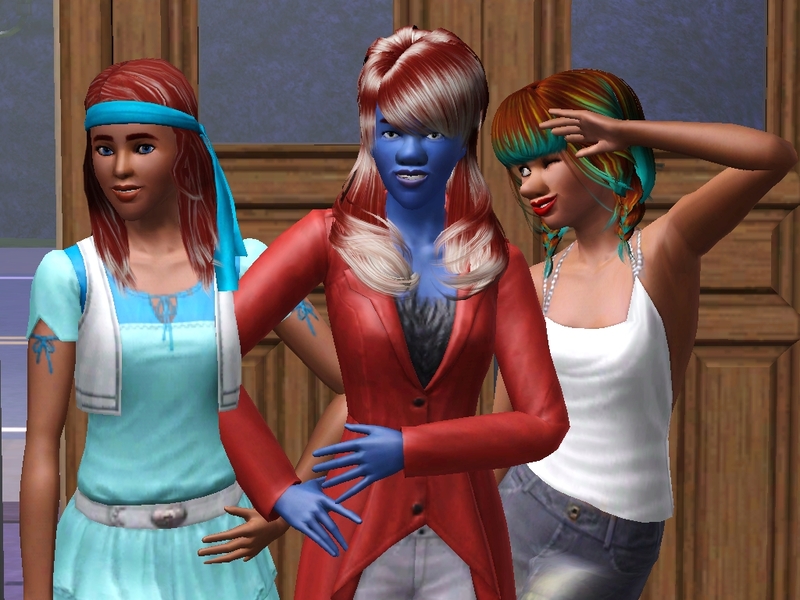 Asher, Dawn and Newbie clapped their hands as the two danced. Then Newbie took Dawn into his arms and dipped her and kissed her gently on her forehead. 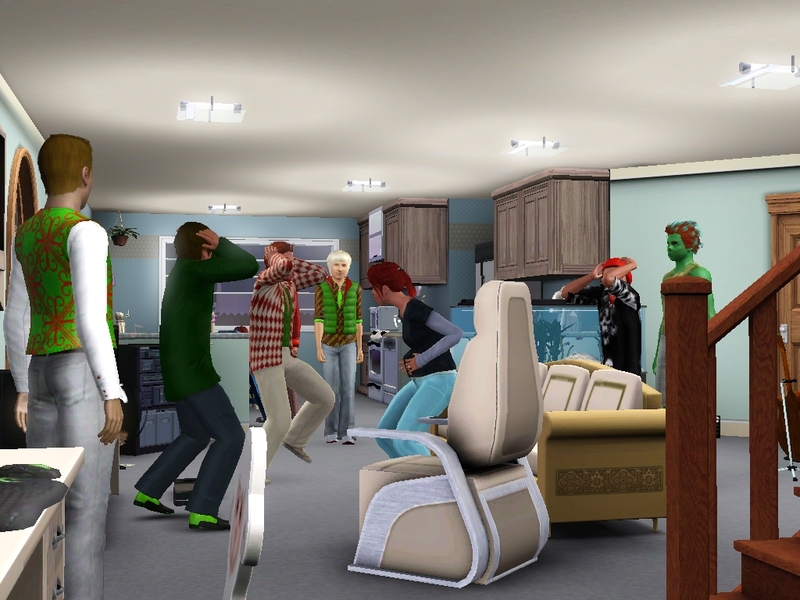 They were all having a grand time dancing and decorating and the house looked beautiful. 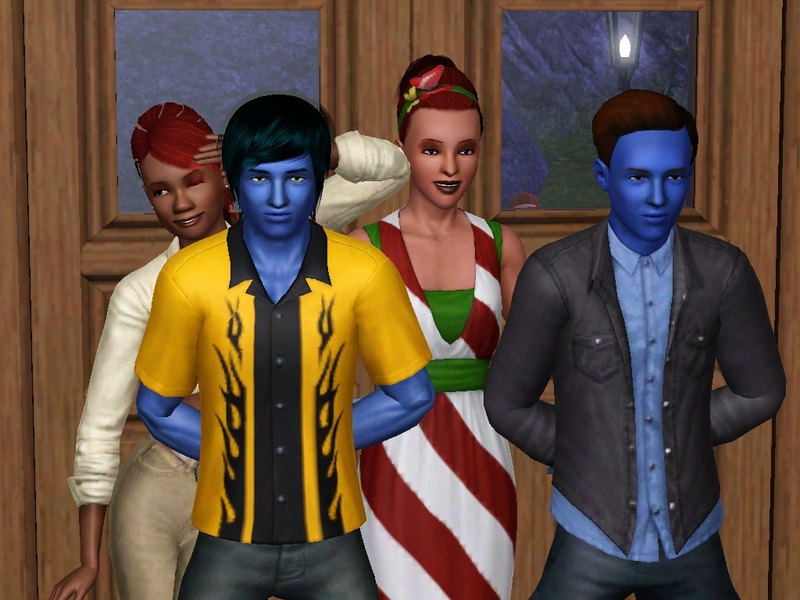 Asher grilled a delicious dinner for them and the kids and then it was time for Dawn to head to the airport to fly back to Twinbrook. Newbie led her by her hand to the door and the awaiting cab. He hugged her and watched her move down the stairs to the cab and with a heavy heart he went back inside. 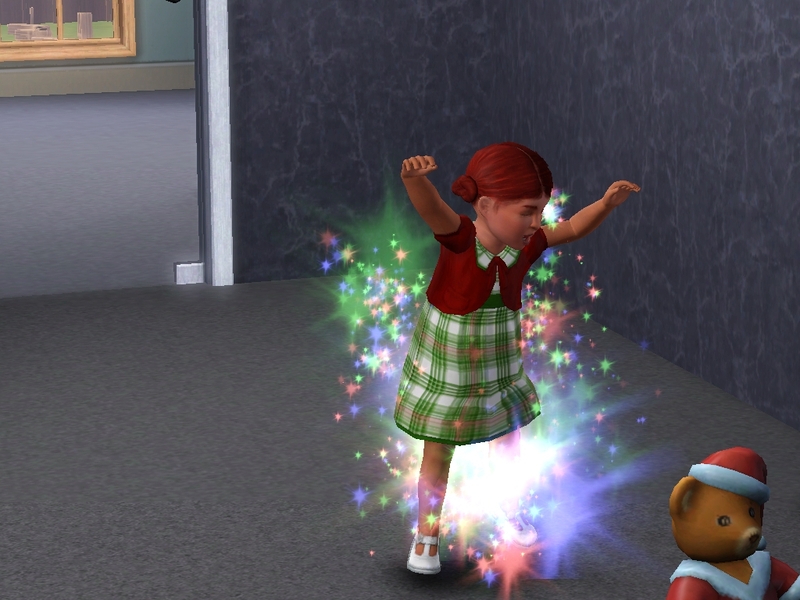 With the late hour all the kids were in bed, Asher and Ashby were upstairs trying to calm Bay down and Quinn was checking email so Newbie headed out back for some air. Quinn noticed his brother seemed perplexed and followed. 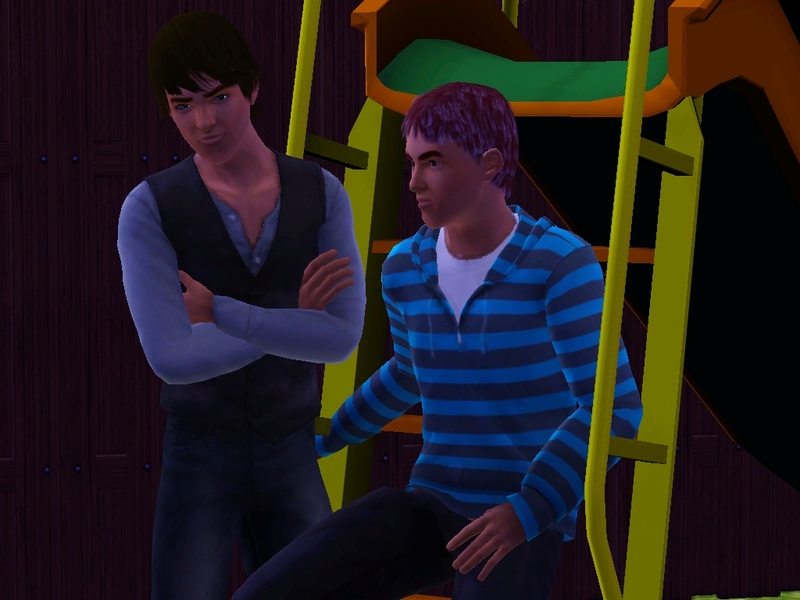 “Upset that she is gone bro?” He asked leaning against the slide ladder that Newbie was already sitting on. “Yeah.” Newbie had a faraway gaze on his face. Quinn gives his brother a look that says “Okay?” and the two talk about the upcoming holiday season. The next morning over coffee Newbie and Quinn sprung it on Ashby that there is more to their surprise, but they were not going to tell her what it is. 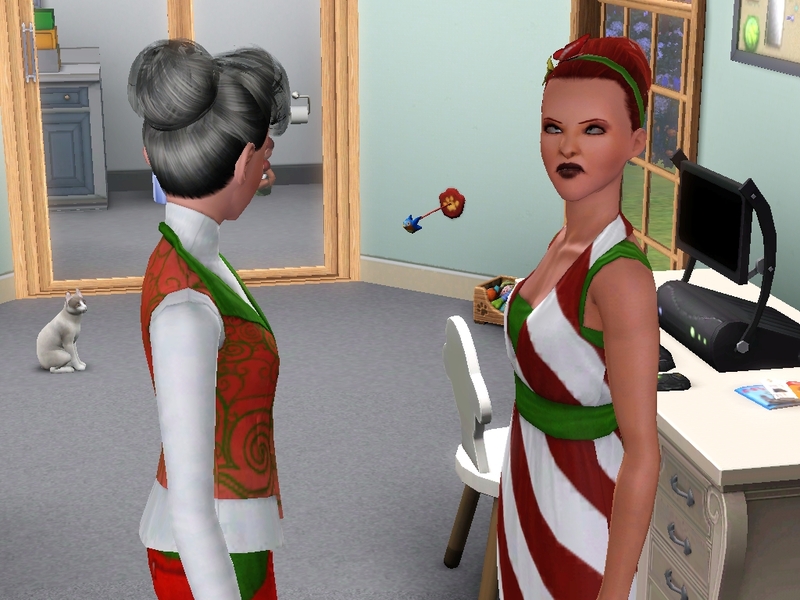 They just told her to be on the lookout for little surprises from then until Christmas. Ashby couldn’t think of what more she could ask for or want, but the boys would not cave and tell her. That afternoon Ashby arranged Christmas pictures with everyone in the house. Ashby was very pleased with the results, well all except for Riker’s expression, and she couldn’t imagine her Christmas getting any better then what she already had. The next morning after the kids went to school Ashby heard honking from the driveway. She was puzzled and when she walked onto the porch she was once again surprised. Babies 23, 24 and 25 were standing outside. Ashby was downright shocked. She hadn’t seen twins Addison and Taloria since they moved overseas and Lockland, she hadn’t seen him since he ran away to be with his dad. From phone calls, emails, skype and the occasional letter Ashby knew that Addison was doing well as a model; she saw her picture on many different ads for clothing and perfumes. 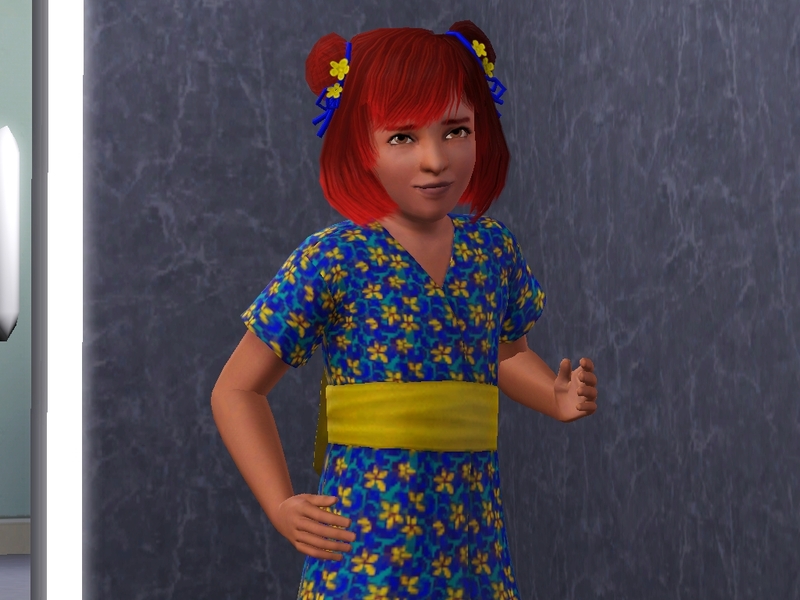 Taloria was doing very well in her clothing design and even had her own brand on the market, nothing that Ashby could afford but she loved looking at her stuff and seeing how beautiful it was. When Taloria introduced her to her fiancée Europe Bonjour Ashby was overjoyed that her daughter had found loved. Lockland introduced his wife Silk and his son McKay. When they went inside and he saw Asher he got the same greeting from Asher. 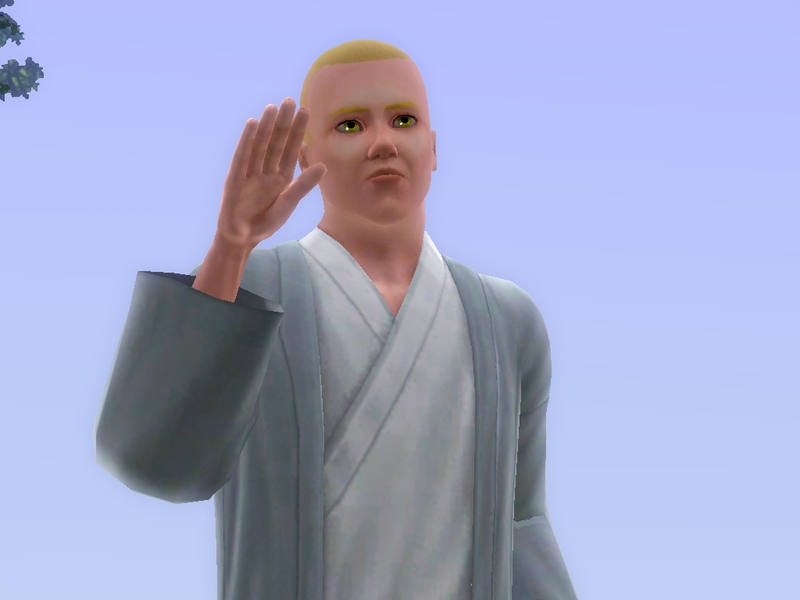 Asher wasn’t his true father, but growing up he loved him as he was. That night at dinner Lockland informed them that soon after he became a young adult he started to question the things Darko did and said and soon he wasn’t agree with them. After witnessing several questionable things from Darko he wasn’t to be cured of his vampirism. However if you are born vampire they don’t just let you get cured. They make you go though counseling first and during the group part of it he met Silk. In the end she was cured and he decided that he was a vampire, but he didn’t have to be like his father. 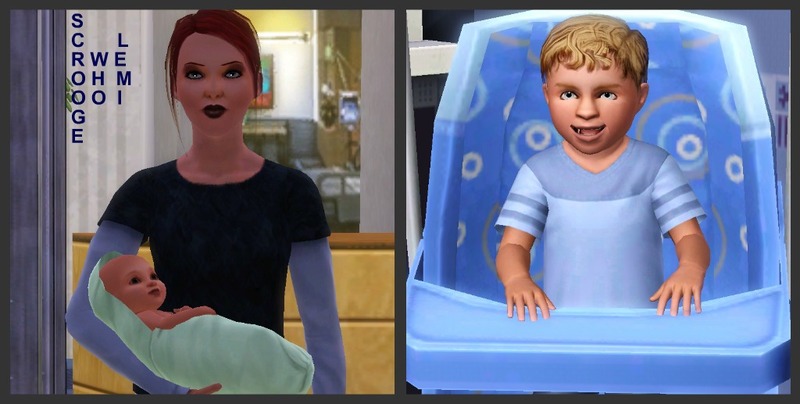 They married soon after meeting and McKay was born shortly after that. 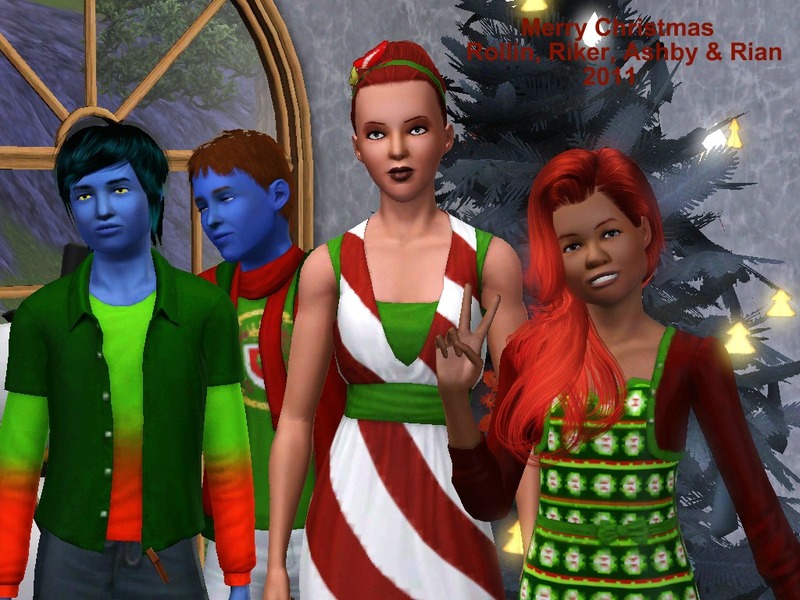 Ashby was sure blessed to have this many of her kids home and once again she had the kids change into their Christmas outfits for pictures. The pictures once again turned out great. Ashby was so on the verge of tears when she was able to get a picture of her and her son Lockland and her cute grandson McKay. Within the next week six more children arrived at the Lemi house to spend the holiday with their mom. 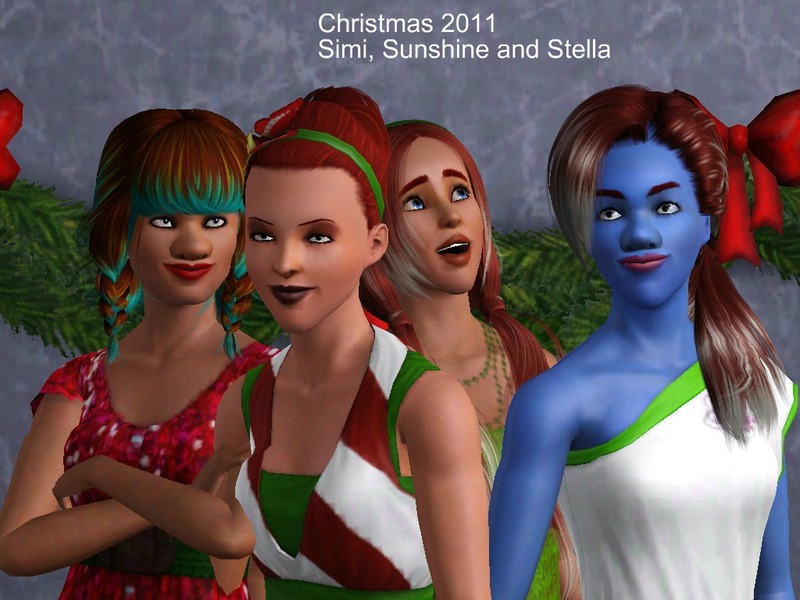 Babies 6, Sunshine, 5, Stella, and 4, Simi. 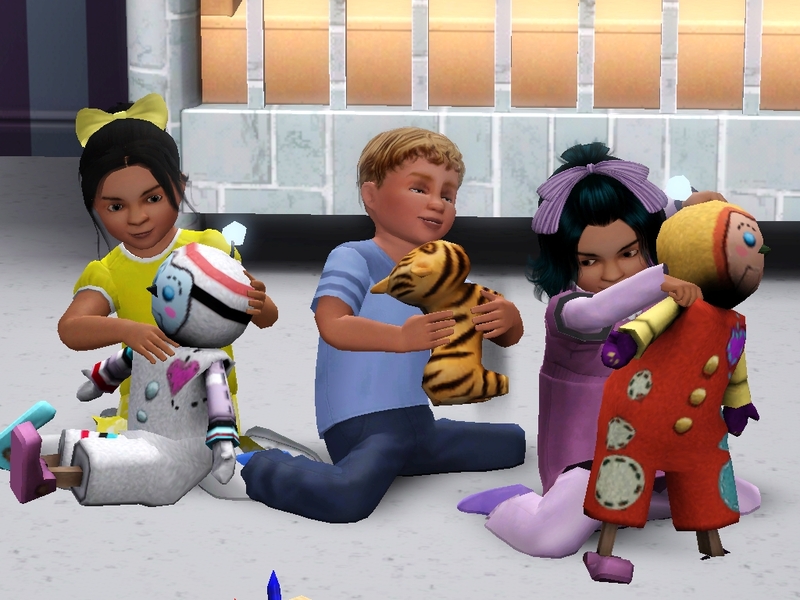 Babies: 3, Greyson; 9, Ash and 12, Kenyon. 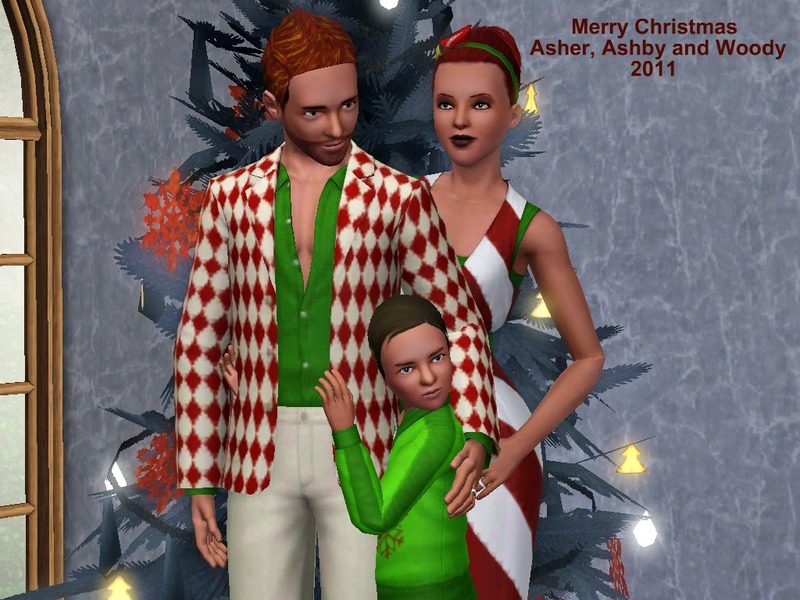 Ashby was overcome with emotion that so many of her children were home for the holidays. 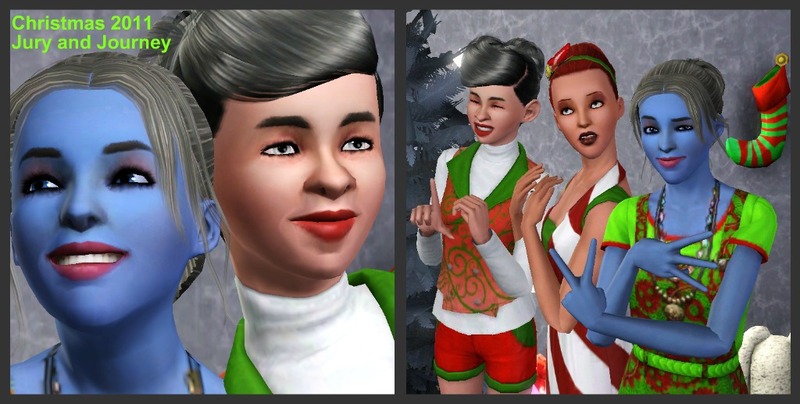 She couldn’t believe her luck and the love she was blessed with, and after the kids were settled Ashby had Asher get out the camera once again for Christmas pictures. The house was full, but full of love and so it didn’t seem like there were so many people in one house. 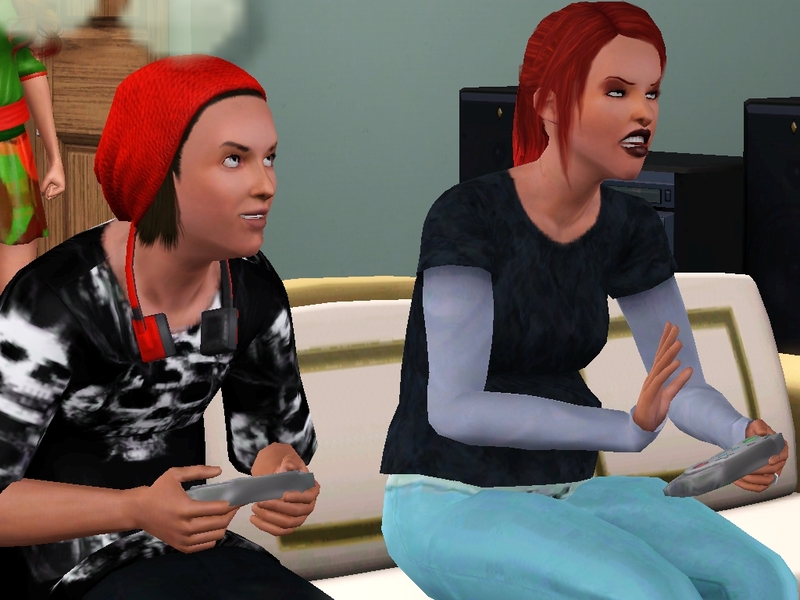 Ashby stood in the doorway watching Ash and Kenyon play a video game together. These two weren’t raised together but they were taking time to get to know one another. This is what family is all about and Ashby loved observing her children. Next to arrive were babies 7, Jury, and 8, Journey and Journey brought her girlfriend Sami Blood. 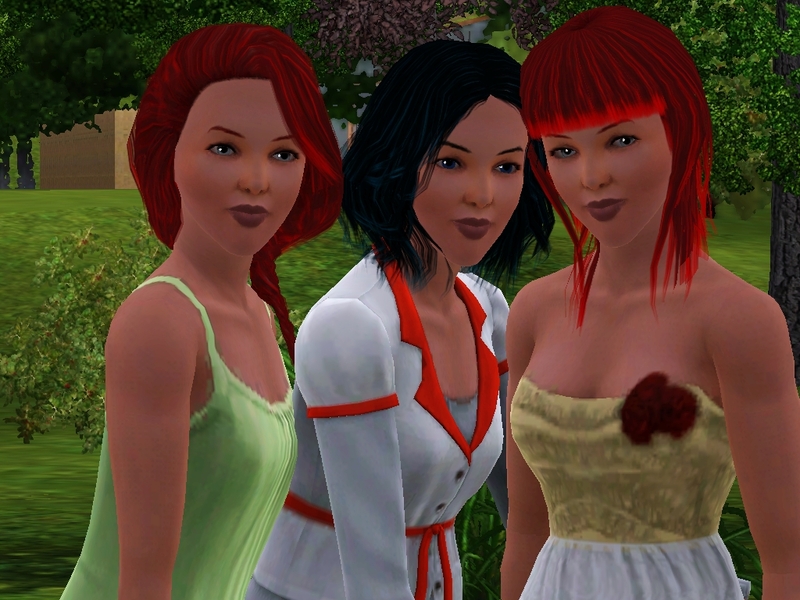 Several days after Jury, Journey and Sami had been there Ashby decided she needed to talk to Journey about Sami. Sami’s behavior was something that Ashby didn’t approve of and even though it wasn’t the ideal time and place Ashby was still Journey’s mother and she felt they needed to talk. 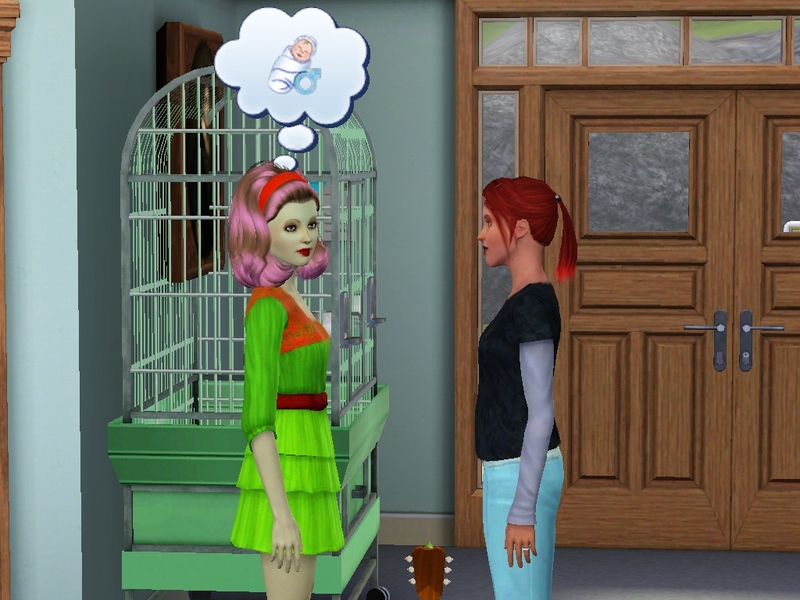 “Sweetie we need to talk about Sami.” Ashby tried to approach her daughter with an even temper. “What about Sami.” Right away Journey was on the defense. She wasn’t sure how her mother was going to take the fact that she was a lesbian. She had never really “come out” to her and just sprung Sami on her. “Well she has been quite rude since she has been here. She has cursed in front of Bay, she has given not so good styling advice to Rian and she is just downright rude to Asher and the boys.” Ashby rubbed the back of her neck. “Are you just lashing out because you don’t like that I am in love with a woman?” Journey’s tone is full of venom. 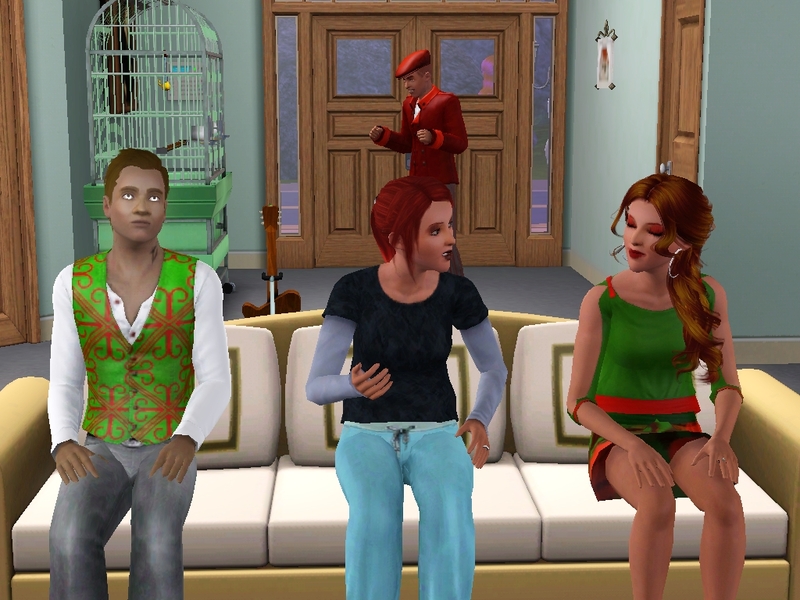 As Journey wiped her tears away she gave Ashby one more present and that was that she, Jury and Sami were moving to Sunset Valley. The house she and Sami were going to rent would be ready for them to move into in two days and Jury was moving to her new place the day after. Ashby couldn’t be more excited.